Welcome to Texas Healthcare Specialists, Inc. When searching for Texas Medicare Supplements it can be overwhelming trying to find the best Medigap insurance policy to meet your needs and budget. With so many Medigap insurance plans to choose from, how does someone know if they are getting the best Medigap insurance policy available? This is where Texas Healthcare Specialists, Inc. can help. No matter if you are turning 65 and need some help understanding your options of Texas Medigap Insurance Plans, or just making sure you are not paying too much by requesting our free, no-obligation Medigap insurance quotes. Having an independent Medicare supplemental agency on your side, like Texas Healthcare Specialists, Inc., will insure that you receive the utmost professional service that will always keep your best interests in mind. With a full portfolio of insurance companies offering Medigap Insurance, you can rest assure that we will always affordable Medicare supplement insurance coverage. So, if you have questions or concerns about how to protect yourself against the out-of-pocket risks left by just having Original Medicare and need help with knowledge of supplemental insurance choices, contact an agent today for your Medicare supplement quotes. Medigap insurance policies, also known as Medicare supplement insurance plans, are identified by letters A through N and in most states Medigap insurance companies can only sell you a "standardized" Medigap policy. These policies must be clearly identified as "Medicare Supplement Insurance" and must follow Federal and state laws designed to protect you. Here in Texas there are many Medigap insurance companies that offer Texas Medicare supplements, so which one is the best? There is no one answer to this questions, that is why having an independent licensed agent on your side can help find the right coverage at the best price for your specific needs. No matter which insurance company you choose for your Texas Medigap insurance plan, all the companies must offer the same basic benefits per lettered plan. Cost is usually the only difference between Medigap policies with the same letter sold by different insurance companies. Unlike other agents who might only offer you a handful of Texas Medigap insurance plans, here at Texas Healthcare Specialists, Inc. we will search for all of the affordable Medicare supplement insurance plans in your area. We will not just offer one or two Medicare supplement quotes and hope you take it, but we will make sure you are aware of all of your options. Texas Healthcare Specialists, Inc. believes in helping you make an informed decision and offer free, no-obligation Medigap insurance quotes. With Texas Healthcare Specialists, Inc., you can rest assure that we have one of the largest portfolios of insurance companies that offer Texas Medicare supplements. Not only do you have our guarantee of finding you an best Medigap insurance policy for your specific needs supplement plan, but you will know that you have entrusted in us to find an insurance company with a good financial backing and complaint record. With so many options of Medicare supplement insurance companies in Texas and 11 different Medigap insurance plans to choose from, Texas Healthcare Specialists, Inc. will find the best Medicare supplement insurance plan to meet your needs and budget. Having a trusted partner in your search for the right Medicare insurance supplement coverage in Texas can help relieve some of the confusion of making sure that you have a comprehensive Medigap insurance policy available. So, no matter if you are looking for Medicare Supplement Insurance in Georgetown, Texas or anywhere else in the state, you will know that you have a the right agency on your side. Here at Texas Healthcare Specialists, Inc. we take the hassle out of signing up for Medigap insurance in Texas. We have a proven step-by-step process to make sure that from start to finish your Texas Medigap insurance policy will be completed with no interruptions. 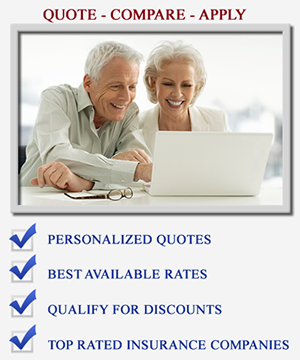 Texas Healthcare Specialists, Inc. is not just here to sell you a Medicare supplement plan and leave. You will always have direct contact by phone, email, or fax to your own personal independent insurance agent. We feel that it is necessary to be a true independent health insurance agency and to always make sure that we offer our clients a broad portfolio of Texas Medicare supplements with free, no-obligation Medigap insurance quotes. With Texas Healthcare Specialists, Inc., not only are you getting a true independent insurance agency, but an agency the will have your best interest in mind. Medicare supplement rates can change at any time. By having an annual review and keeping up to date of Texas Medicare supplements, is just another way to make sure you always have the best Medigap insurance policy available for your current situation. Do you like the the newsletter layout?